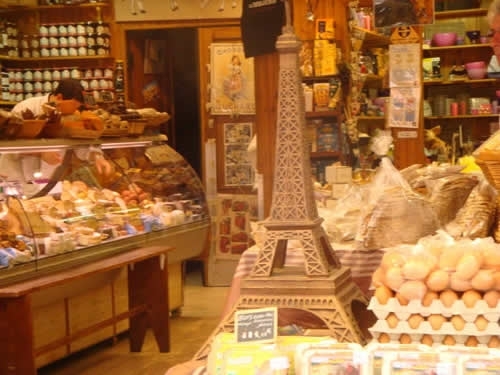 It’s a well-known fact people go to Paris to eat and, unless you are a bit of a foodie, it can be considered daunting due to the complex rituals of the markets, the enormous varieties of wine, choosing a restaurant to dine in, and their almost clandestine and esoteric rules regarding food. 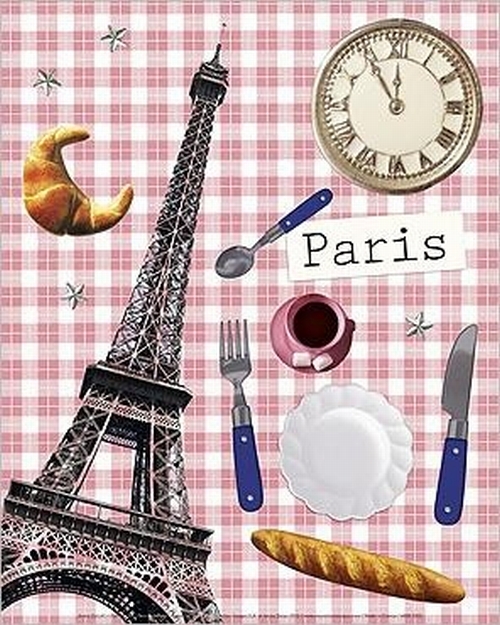 This article is an aid to cracking the Parisian code, a guide for all types of restaurants and all things food in the city of love. We start with the top end of culinary dining, the gourmet restaurants renowned for excellent wines and multi-winner Michelin-star chefs. This extravagant restaurant is the crème de la crème of dining out – their 3 Michelin-star awards speak a thousand words. Chef Yannick Alléno offers a varied and rich menu, the cuisine audacious and modern. Restaurant Le Meurice is a gastronomic heaven, exuding opulence from every corner. Your palate will be delighted and overwhelmed by Yannick Alléno’s outstanding fare, and all this surrounded in 17th Century style luxury. Not only designing amazing menus, Yannick’s new concept of tableware called Ondes is featured there, his unseen collection of plates. If you take a tour you’ll also get to see their refrigerated wine cellar at the champagne bar, which holds the 616 bottles on view. This is more than a restaurant; it’s a gastronomic tour de force. Now for the middle restaurants, the good restaurants that still offer incredible menus and fine wines, but come at a cheaper price. Most of these have actually won the odd Michelin-star, so the food is going to be amazing. The one I’ve selected is a great representation of a good restaurant in Paris. Some truly great masters trained Restaurant Laurent’s chef Alain Pégouret – Christian Constant and Joël Robuchon to name drop. In 2001, he took to the helm of the Restaurant Laurent’s kitchens, and ever since, he’s incessantly striven for excellence. His menus follow the changing seasons, providing tantalising tastes that change 30 times throughout the year, something the foodie will really appreciate. Restaurant Laurent is made up of five stylish salons, accommodating up to 60 people. These salons are located on the first floor, some boasting wonderful terraces or balconies. Renowned in Paris, Restaurant Laurent’s wine cellar holds a staggering 30,000 bottles – if you like a nice vino with your food, this is the obvious choice. If you are looking to spend less, either self-catering or simply don’t go for the fine-dining restaurants, there are many choices that still offer a good standard of dining with great good. The Quartier d'Aligre is gaining reputation as one of the trendiest parts of Paris, and L'Ebauchoir was one of the earliest neo bistros to open there. There’s a fantastic bargain menu, comprised of a set lunch in which you'll experience traditional dishes such as roast guinea fowl, braised pork ribs and crème caramel. In the evening there is the option of the à la Carte menu, where chef Thomas Dufour shows off his magic with his gourmet dishes. L'Ebauchoir is a great all-rounder, perfect for every occasion. Most Parisians avoid from buying produce from their supermarkets; instead they head for the traditional food markets, most open one or more days a week in every neighbourhood. Market produce is often fresher, a lot more flavourful, and less expensive than buying from a supermarket. Most of the produce comes from local farms, so it also benefits the local economy. It’s a colourful and friendly experience where fruit sellers call out their latest prices, teasing you to try what he has on offer. Renowned for their wonderful cheeses, Paris markets allow you to ask an expert opinion on which cheese is the best compliment to a particular wine you bought, making hosting a party that much easier. You’ll also quickly learn the Parisian delicacies, such as Tarte Tatin (caramelised apple tart with a dollop of cream), Chouquettes (sugared chou pastry balls) and Boulette d'Avesnes (a red and very strong cheese). If you’ve never experienced it before, a Parisian market is the best way to find out about food and wine, so why not make a day of it and buy fresh produce and superb wines?